Teaching Authors--6 Children's Authors Who Also Teach Writing: READ ALL ABOUT IT! 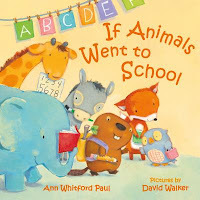 ANN WHITFORD PAUL REVISES AND EXPANDS WRITING PICTURE BOOKS! + BOOK GIVEAWAY! READ ALL ABOUT IT! ANN WHITFORD PAUL REVISES AND EXPANDS WRITING PICTURE BOOKS! + BOOK GIVEAWAY! 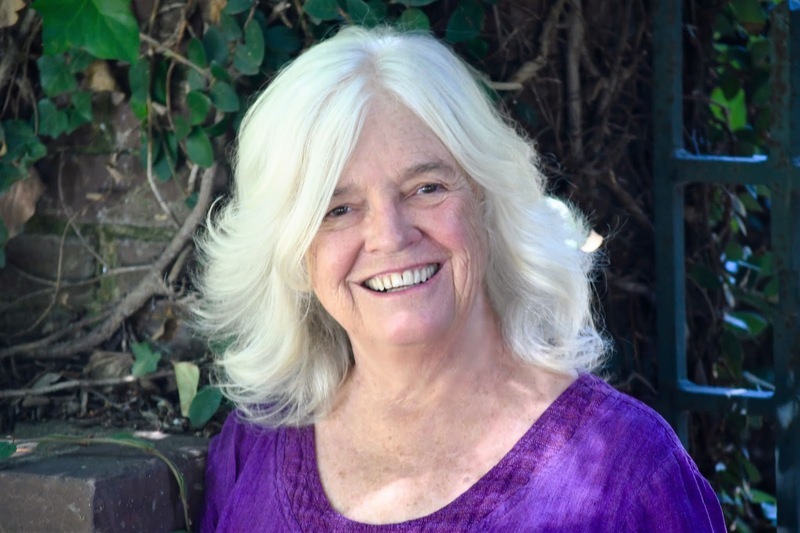 I’m happy to report: award-winning author, poet, teacher and mentor Ann Whitford Paul has revised and expanded her 2009 go-to hands-on guide on writing picture books, aptly named WRITING PICTURE BOOKS! Writer’s Digest releases this 2018 edition November 13. I’m even happier to report: YOU can win a free copy in our Book Giveaway! Be sure to check the entry details at the end of this post. This news is truly headline-worthy for anyone writing a picture book today. Our world and thus children’s book publishing have changed in ways that impact both the stories we tell and how we tell them in the picture book format. Think: the turbulent financial times 2008 brought us. Think: WeNeedDiverseBooks. STEM. Common Core. Graphic illustrations. Herstory. #OwnVoices. Meta books. Pete the Cat’s Misadventures still appeal to young readers. Mo Willems’ fans grow mightily on an annual basis. Tomie DePaola remains beloved. Our stories still need to offer Universal Truths and recognizable sentiments so they connect with readers. The picture book, however, has changed with the times. Idea generation. Character creation. Point of View. Beginnings and Endings. Plotting. Word count. Rhyme and more. Ann’s easy-to-grasp instruction once again shines. As for the rich and relevant examples and hands-on revision exercises, again, Ann understands HOW we as writers learn – and hone – our craft. “What’s new?” you ask, "..revised...expanded?" That is but one of the questions Ann graciously answers in the interview that appears below. 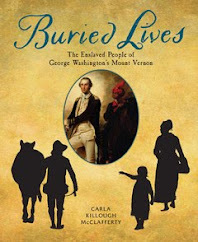 I offer Ann my sincere thanks - for sharing the details of her newest edition with our TeachingAuthors readers, for donating two copies for two Book Giveaways but more importantly, for writing this invaluable textbook. She makes a challenging task – i.e. writing picture books, easier. Happy Reading and Picture Book Writing! 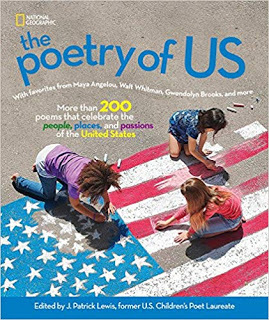 Thanks to A JOURNEY THROUGH THE PAGES for hosting this week’s Poetry Friday Roundup..
What prompted you and Writers Digest to revise your 2009 edition of WRITING PICTURE BOOKS? anniversary. We’ve both been thrilled with the response to the first edition and I jumped at the opportunity because so many changes have occurred in the business since the first edition. Also, I’ve learned a lot of things through my own writing and wanted to share this new knowledge with writers. How did your revision reshape the book’s organization as well as content? What additions and/or enhancements can the reader expect to find? What subtractions might they miss? The organization remains the same but with additional chapters—on basic plots, page turns, finding an agent, the business of publishing. In addition, all book examples were replaced with books published within the last ten years. I also rewrote all the examples and quizzes so that writers who might have read the first book, would have additional illustrations of concepts to help solidify their knowledge. The one thing you won’t find in the new edition of the story is the No-no’s in a Manuscript Quiz. There simply wasn’t room. But I also did write a new one and will post it on my web-site after the book comes out. IMHO: WRITING PICTURE BOOKS is the #1 go-to text on how to write a picture book. I’ve used it with my students and writers since 2009. 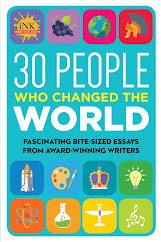 Can you share a few glowing responses, a few Fan Letters you’ve received from writers who learned and honed their craft via this book? Oh, darn! I should have saved some fan letters, but sadly I have not. I can tell you that periodically people e-mail me about how the book has helped them, how they’ve done the exercises, and sometimes even sold a book. I LOVE getting those notes and probably should have saved some of them. I do respond to each one, but, unfortunately, I have a niece who is a professional organizer and she has taught me to purge, purge, purge! I’m grateful though to anyone who writes—the truth is that a positive letter makes my day and spurs me to keep writing. So please don’t be shy. Let me know how my book has impacted you. You noted in your 2009 edition that you wrote WRITING PICTURE BOOKS in memory of the unforgettable Sue Alexander and that a portion of the proceeds of this book would help fund the SCBWI Barbara Karlin Runner-Up Grant. How has this support “recognized and encouraged the work of aspiring picture book writers” and how will it continue? I’ve spoken to many recipients of this award and they all say how much it boosted their self-confidence and sometimes even led to publication. It was a pleasure to be able to support picture book writers. In honor of the publication of this new edition, Writer’s Digest Books and I are establishing through SCBWI the Ann Whitford Paul-Writer’s Digest Most Promising Picture Book Grant of $1,000 to be awarded yearly. After judging non-specific genre children’s books contests, it became obvious to me that picture book manuscripts were easily ignored. I think the prejudice that short must be simple to write is responsible for that. Writing picture books with their focus, brevity and lyrical prose can be terribly difficult. I struggle sometimes for years to get my stories right. I wanted to recognize that struggle and honor those who write these short, but challenging, manuscripts. Can you share news of the latest Ann Paul picture books? The same year that the first Writing Picture Books came out, so did another book of mine titled IF ANIMALS KISSED GOOD NIGHT. Its sales were good, not spectacular, but still I was surprised when FSG took it out-of-print. Then much to my even bigger surprise, they republished it as a board book with a new cover. The sales sky-rocketed. And then, the publisher asked me to do another IF ANIMALS SAID I LOVE YOU and IF ANIMALS CELEBRATED CHRISTMAS. And next year there will be a fourth IF ANIMALS WENT TO SCHOOL. So I’ve been busy with these. Finally, picture books do indeed do important work. Today’s picture books bring so much to the page: diversity, social justice, activism, gender equality. Yet there still remain bedtime stories, tales of forever maternal love, first-day-of-school titles, just to name a few. What is your take on the important work this format does and why sales of picture books are again on the rise? I LOVE this question! I came to writing picture books after years of bed-and-nap time reading to my children. In our too-busy world, those quiet times, sitting skin-to-skin reading together, were a gift to all involved. Adult and child alike were fully committed, focused on the same thing. We shared the tactile experience of the smooth pages, the quiet whoosh of the page turns, the bright visuals and of course, the words, the glorious musical words. No wonder sales of picture books are on the rise! We need those moments of togetherness more than ever. Picture books are the first introduction for children to reading. They are enticed in by the pictures. The words sneak up on them and suddenly, they are saying them along with us and even pointing specific words out. Studies show that children who are read to come to elementary school well ahead of those who haven’t had those experiences. Our books let children know they’re not alone when dealing with a bully, that other parents divorce, too, and that there are places in the world where people live differently. When they develop empathy for the characters in our books, they can translate this to real lives. But it isn’t enough to write just any old book. If our words aren’t compelling and lyrical and tell a powerful story, children’s interest in reading will wither and die. We are the first step on the road to becoming a life-time reader who can discern fact from fiction, and that is an awesome responsibility. So, readers, to enter our drawing for a chance to win your very own copy of Ann Whitford Paul’s 2018 edition of WRITING PICTURE BOOKS (Writer’s Digest), use the Rafflecopter widget below. You may enter via 1, 2, or 3 options. If you choose option 2, you MUST leave a comment on TODAY’S blog pose below or on our TeachingAuthors Facebook page, sharing your Favorite Picture Book published between 2009 and 2018. NOTE: if you submit your comments via email or Facebook, YOU MUST STILL ENTER THE DRAWING VIA THE WIDGET BELOW. The Giveaway ends November 8 and is open to U.S. residents only. P.S. If you’ve never entered a Rafflecopter Giveaway, here’s info on how to enter a Rafflecopter Giveaway - and the difference between signing in with Facebook vs. with an email address. Remember: there will be TWO lucky winners! 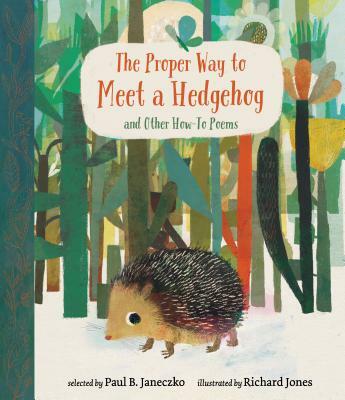 I LOVED the first edition of Writing Picture Books and can't wait to get my hands on this revised edition. 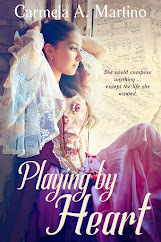 Thanks, Esther, for this great interview, and thanks Ann and Writer's Digest books for the giveaway prizes. The winners will be indeed lucky! And how wonderful about the new Promising Picture Book Grant. You are a MOST busy person, Ann! I've always recommended the original version of this book and am excited that it's been updated. I can't wait to read the new edition and know there will be lots of terrific information to push our skills and encourage us as writers. My favorite Picture Book in the past few years (oh, sooo many to have to chose from) -- Nighsong by Ari Berk (Illustrator Loren Long). I have the first edition of Writing Picture Books. How exciting Writer's Digest chose to publish a second edition. It makes sense that after ten years an updated version is in order. This looks like a great addition to my writing books! Thank you for your inspiring words, Ann! 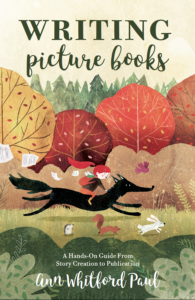 Can't wait to dive into your newest edition of Writing Picture Books. Thank you Esther, for continuing to be a driving force in bringing great information to people in the children's book world. of Ann's book...it is highlighted and marked up just about everywhere! I'm looking forward to another great learning tool in the new edition! I own and love the first edition and cannot wait to see the revised one!!! Thanks for this inspiring blog post. Congratulations Ann on being asked to create the revised edition. I look forward to using it as a resource. One of my favorite picture books is Crafty Chloe, by Kelly DiPucchio (so hard to choose just one). I would devour this book! Looking forward on reading this wonderful book that I'm certain will help improve my PB skills. Thanks Ann for your commitment in helping writers to fulfill their dreams. Kisses and best wishes to all. Ann's book has been my guidepost. I recommended the first edition to my newly formed critique group. It was our first book study. Guess who is going to suggest the new edition be our ne t one? I always recommend the original to newbies at our Society of Children's Book Writers and Illustrators critique group. Favorite picture book? It's so hard to pick! I recently found and fell in love with The Lumberjack's Beard by Duncan Beedle. The Lumberjack reminds me of my now grown son and the many enjoyable hours I read with him and my daughter. Picture books are so important! This is a book I need to read. Thanks for the post today and chance to win a copy too. The first edition has been invaluable to my writing and when I heard a second was coming I was so excited! I am looking forward to seeing the updates and editions. Thanks for the interview! I also have the first edition--it is a gem of a book for anyone wanting to write picture books! I'm eager to see the updates--thanks for this interview! A recent picture book that I think is a gem (and see as a wonderful mentor text for my writing) is Marion Dane Bauer's The Stuff of Stars. I'm excited for this new edition! A favorite picture book of mine is Mr. Duck Means Business by Tammi Sauer. Just something about it that sticks with me. Thanks for the interview! I was curious to know what the new edition contained. This sounds like an excellent resource. Thanks so much for the chance to win a copy! Loved the first edition but it is quite dog-eared now, so I eagerly await the new edition! Super interview! I was a recipient of the Barbara Karlan Runner-Up Grant in 2013 and it was such a boost to my confidence! That manuscript also helped me land my agent and almost sold (actually it did but then the contract was cancel when the tiny publisher decided they wanted out of the PB game). Lovely to hear that a new grant will e established. I can't wait to read this updated version of Writing Picture Books! The first edition has been a constant resource for me. I read it cover to cover when I first got it and refer to it often. I recommend it to everyone who wants to write picture books. I was the Barbara Karlin Grant Runner-Up in 2012 which led to an agent and I'm now published! It was certainly a boost for me. I'm excited to hear about the Ann Whitford Paul-Writer’s Digest Most Promising Picture Book Grant!! Wonderful! Thanks for the interview and thanks to you, Ann, for writing a new edition. It will be on my shelves! I've been wanting to pick up your book and now I'm excited there's a new addition! I have to say my favorite recent picture book is "Click, Clack, Moo" by Doreen Cronin. Love reading it with my kids! Oh! I forgot to mention a book. I have many, many favorites. But I loved Mother Bruce by Ryan T Higgins. This paragraph just...wow...I'm crying in such a beautiful way, "I LOVE this question! I came to writing picture books after years of bed-and-nap time reading to my children. In our too-busy world, those quiet times, sitting skin-to-skin reading together, were a gift to all involved. Adult and child alike were fully committed, focused on the same thing. We shared the tactile experience of the smooth pages, the quiet whoosh of the page turns, the bright visuals and of course, the words, the glorious musical words. No wonder sales of picture books are on the rise! We need those moments of togetherness more than ever." I totally agree. I love sitting with my toddler (especially my toddler and hubby) and reading, it's so amazing. I have to add this book to my collection. If I didn't know what it was about, I'd probably buy it anyway based on that beautiful cover illustration! I would love to win a copy of this book! I just almost bought the original the other day, but now I'll wait for the updated to be released! This is on my "Recommended" list that I send to everyone interested in writing books for children. So excited to see a revised version! I've been waiting for this new edition, and can't wait to work my way through it! Congratulations! Thank you, all, for entering our Book Giveaway, sharing your favorites and sharing what Ann's WRITING PICTURE BOOKS has meant to you. It's truly a GIFT to every picture book writer out there - pre-published/post-published. Good Luck to all and thanks for supporting TeachingAuthors. Wow, this cover is beautiful! Looking forward to checking out the updated and expanded information. My latest favorite picture book is Charlotte the Scientist Is Squished by Camile Andros. I enjoyed this interview, and I'm so excited to read the revised edition. I'm so excited for the new edition! My first edition has been well-loved. Fun coincidence: Harold Underdown just posted a rave review of this book on his Purple Crayon site. I love it when so many great minds are unanimous—this book has to be a winner, and I can't wait to read it! What a wonderful resource. I would imagine much has changed in the publishing world since 2009. Thanks for the chance to win it! I loved the first edition of this wonderful book. Would love to have the second addition as well! The SCBWI critique group I belong to had me purchase the original several months ago and I've learned so much from it! Excited for the new edition (and the chance to win it. Favorite picture book (too many to choose) but I just love Pete with No Pants by Rowboat Watkins. How wonderful that this classic has been updated! I LOVED Ann Whitford Pauls first edition. That book helped me to publish my first book, Crunchy, Not Sweet due out in bookstores March 2019! I am looking forward to the new edition with MORE information. Thank you Teaching Authors and Ms. Paul! I am so looking forward to the new Writing Picture Books. Ann's book, along with her blog from Mr. Darcy, have given me the information and inspiration I need to forge on in my picture book writing efforts. Thank you, Ann, for all you do for those of us trying to break in to the industry. I have so many favorite PB's from the past decade, but I am going to go with You Do Not Want A Unicorn, by Ame Dyckman. It's a side-splitting, cautionary tale. I got this book on loan from the library (it was a well-loved 10 year old edition, it seemed), and it is SO inspiring! A classic guide, for sure. One of my new favorite picture books is An Inconvenient Alphabet by Beth Anderson. A great, quirky bit of history. I look forward to reading Ann's new book on writing picture books. Harold Underdown has recommended her book for years. 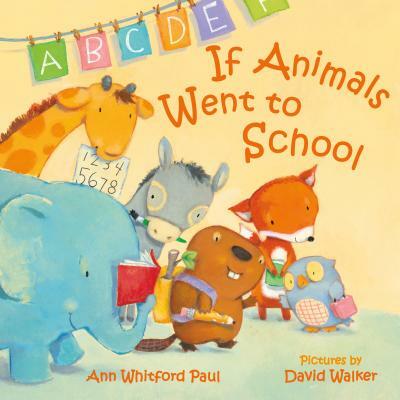 Ann Whitford Paul’s WRITING PICTURE BOOKS is my go to resource for the craft of writing picture books. I look forward to the expanded and revised edition. I can't wait to read Ann's new bible! Anne's first edition is my "go to" reference so I'm eager to get her new one. Great interview! Wow, lots of love for this post! I just found it on FB! Thanks for sharing about this book, sad to say it's new to me! Hoping I win! Count me in as another person who can’t live without Ann’s book! :) I have too many favorite PBs...may I list more than one? A Different Pond, Harriet Gets Carried Away, Mother Bruce, The Boo-Boos That Changed The World, Pocket Full Of Colors...and more! I'll have to look up "If Animals Went To School"--that looks charming!